Input your keyword, e. g. cement, mortar, concrete or lime and use the filter function to refine your search results. Bei der Suche in 25 Produkten konnten x passende Produkte gefunden werden. 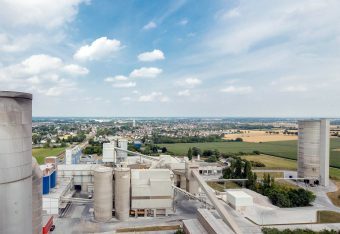 At our headquarters in Erwitte we produce cement, quicklime and dry mortars of the highest quality. We benefit from what nature has in store for us. The composition of our limestone clay is close to perfect as is almost nowhere else. The wide range of our cements is usable for any purpose. Although it sounds contradicory: At Spenner individuality comes off the rack. Our Employees are prepared to meet all challenges and build on their vast experience to help our customers anytime. We at Spenner put a major emphasis on our direct contact with our customers. Our flat hierarchy allows for decisions to be tailor made to your needs, not the other way round. Either during sales or on our way to your building site, with Spenner there is no long waiting time.